Updated and landscaped home on dead end st. Enjoy captivating views of Mt. Rainier, Cascades + Puget Sound. 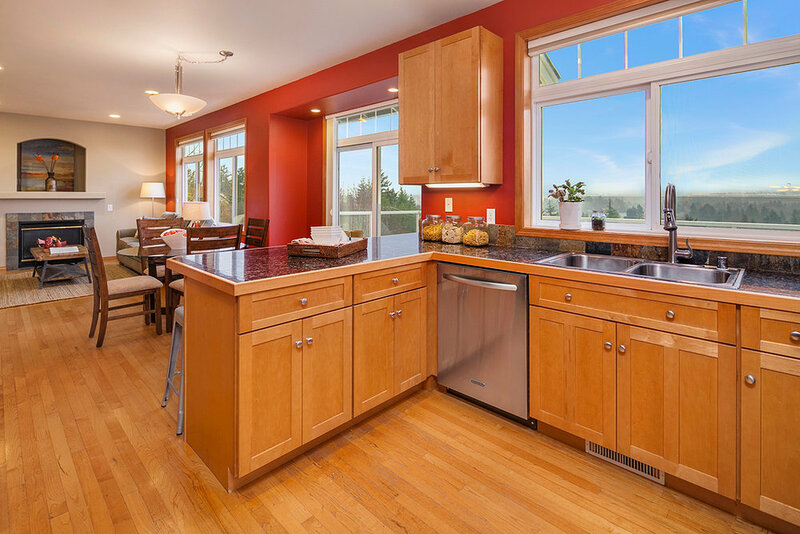 Luxurious open floor plan boasts a spacious kitchen w/ granite countertops, stainless steel appliances, gas range + a large deck perfect for entertaining. Master BR offers mountain views + a 5 piece bath with jetted tub. Fully finished basement offers 12 ft ceilings, rec-room wired for home theater, den/office, exercise room, BR & full bath perfect for guests. Heat/AC for year round comfort.